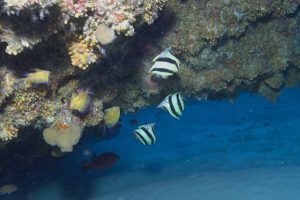 The coral reefs of Hawaii are some of the most thoroughly explored and surveyed in the world, which makes it all the more surprising that a recent trip to Kure Atoll, at the northern tip of the archipelago, revealed the presence of three undescribed species. The NOAA sponsored study during which these dives took place was part of an effort to better our understanding of the region’s marinelife and is part of a larger initiative to expand the border of the Papahānaumokuākea Marine National Monument to the fullest extent allowed under international law. 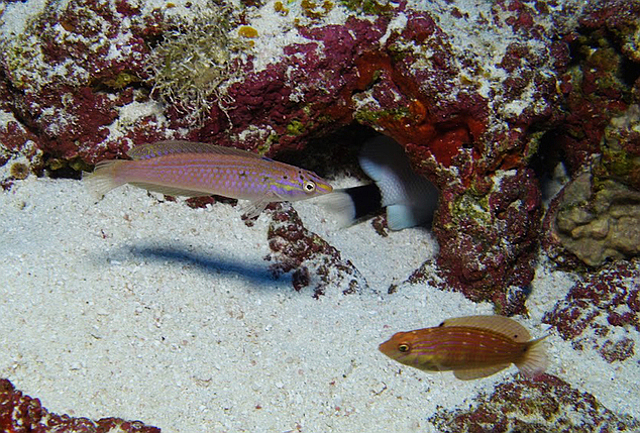 A team of researchers, including Dr. Richard Pyle and Brian Greene, ventured deep into the mesophotic realm to observe and collect the many poorly known fishes present, and one of the most startling conclusions these researchers found was that, on many dives, the reefs were exclusively populated with fish species found only in Hawaii, by far the highest rate of endemism known for any coral reef. 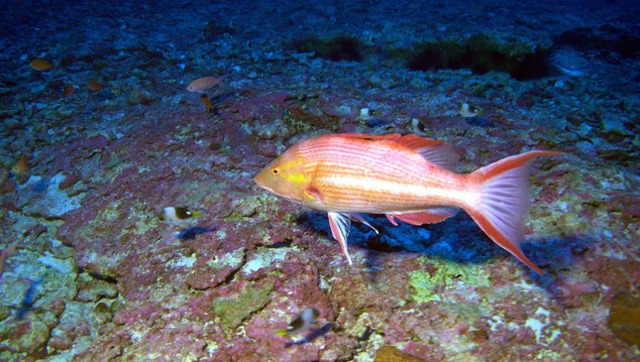 Aside from the usual Genicanthus personatus and Chromis struhsakeri sightings, the team collected the first male specimen of the Hawaiian Pigfish (Bodianus bathycapros), a beautiful deepwater species sporting bright red fin margins. 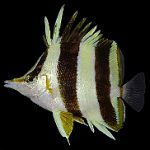 The well-known Orange-margin Butterflyfish (Prognathodessp. 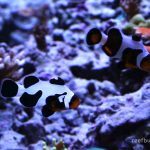 ), which has been semi-regularly exported for the aquarium trade, was also sighted and collected, meaning this fish may finally be described soon. One interesting note shared by Dr. Pyle is that this fish is normal found in groups of three. 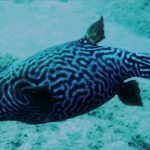 The new wrasse is also a species that has been known to scientists for a while now and is believed to be a close relative of the Suezichthys Rainbow Wrasses, especially the South Pacific S. arquatus and the Japanese S. notatus. 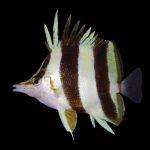 Like most of the species in this colorful subtropical genus, this new Hawaiian fish is not available in the aquarium trade. The males and females appear to have stark color differences, in keeping with others in the group; females sport black spots posteriorly, while the male is a mostly pale, pink fish with some linearly arranged black stipples behind the eye. A new species of basslet belonging to the genus Tosanoides, was discovered and collected by Dr. Richard Pyle and Brian Greene using Poseidon SE7EN closed-circuit rebreathers at a depth of 300 feet at Kure Atoll and Pearl and Hermes Reef during the 2016 NOAA Mesophotic Coral Ecosystem survey cruise into the Papahānaumokuākea Marine National Monument. But perhaps the most exciting discovery of this research trip was a previously unknown anthias. 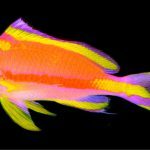 It was found amidst a large shoal of Thompson’s Anthias (Pseudanthias thompsoni), but could easily be recognized in having a bright red spot posteriorly in the dorsal fin. Such a marking is very rarely seen in any of the anthiines and is a strong indication that this fish is new to science. Only a handful of specimens were observed, despite a focused search for it, and just a single male and female were collected. These will eventually be used to describe this new species, which I’ve been told should happen relatively soon. It is believed to belong to Tosanoides, a rarely seen genus home to a pair of deepwater species from the Pacific Northwest. Discoveries like this go to show just how little we know about the deeper reefs of the world, and why it is so important that we protect regions like the Papahānaumokuākea Marine National Monument.